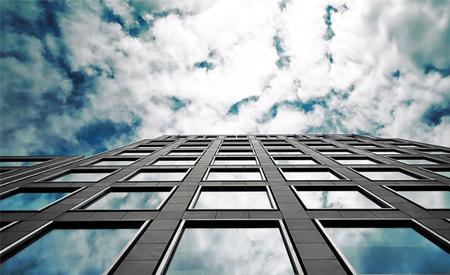 RF Window Films: RF window films provide near complete attenuation, or weakening, of both RF emissions as well as infrared (IR). RF emissions are radio waves while IR is made up of light waves, but our RF window films work equally well against either threat. Windows without RF window films are highly susceptible to intrusion by hacking of wifi or other wireless networks and eavesdropping via the use of IR microphones. 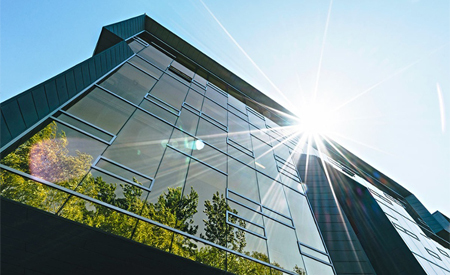 RF window films have the added benefit blocking ultraviolet light from the sun as well, which allows you more control over the temperature in your building and dramatically reduces sun damage to your furnishings and even your own body. RF window films, in short, are an unobtrusive way to change your windows from sources of vulnerability to sources of strength. NT radiant barrier rFoil: Once the windows are taken care of, we can also provide a high-tech radiant barrier that not only serves all the usual insulating functions but also provides RF attenuation to your walls. Our line of rFoil products exhibits superb RF shielding effectiveness. RF paint and fabrics: The final touch to create an RF “cocoon” around your building is the application of RF paint and fabrics. For use both indoors and outdoors, our RF paints and fabrics provide an electroconductive, RF attenuating coating that may be used in areas where rFoil is difficult to apply, such as floors, wood frames, or any irregular surface. If you think you need to increase the RF protection in your building, contact Signals Defense today for a free consultation. We will put our industry-leading expertise to work for you to create a customized solution that serves your particular needs, whatever your budget. Don’t wait until your data is hacked to give us a call – let us give you some ideas on how to upgrade your security against RF threats. For more details on our RF window films, click here.